in SPO we have a rudimentary people directory based on the ootb Local People Results result source. 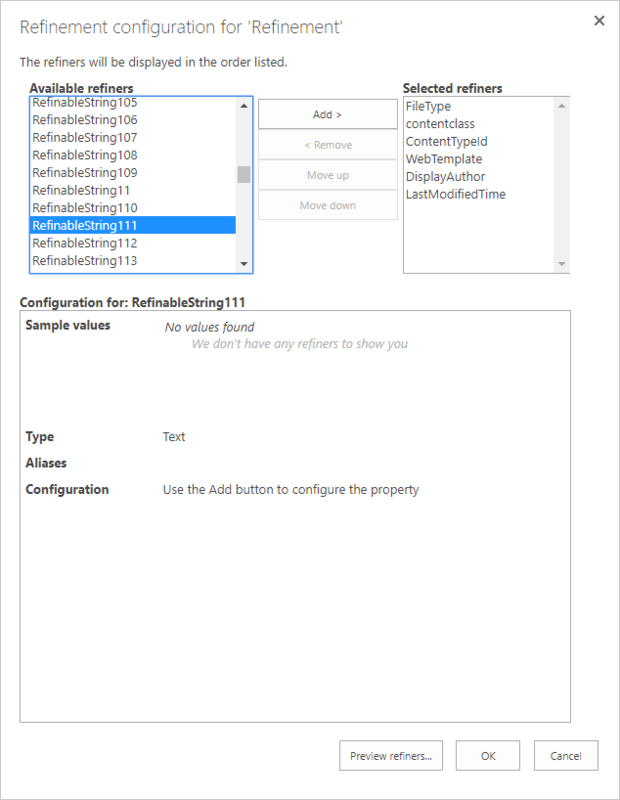 I have an additional metadata column in a SharePoint list which I would like to use as refinement values. And since the values for the managed property come from list data that is contained in the "Local SharePoint Results" it is used here. So I'm puzzled as to how I can include my RefinableString111 as a refiner acting upon the result source "Local People Results". Is it possible to sort of "enrich" the existing result source with the managed property or create a new result source combining the two? Or is there possibly a totally different way of approaching this topic? As far as I understand, you want to enrich PersonA with PropertyA. PersonA is a user profile in user profile service. PropertyA is a column on a list. SharePoint Search cannot match PropertyA with PersonA on people search directly. There is no connection between the user profile and the property. I suggest on adding a new user profile property. This way you can add the property directly to the user profile. Then you would map RefinableString with this new property on the user profile. Now you should be able to filter by this new content type and display PersonA with PropertyA on the search results page. I'm not sure on how to expand the people column values to display on the search result page. You should put the Property on the User Profile itself. Then once the Properties are crawled you can map the crawled property to a managed property in the PeopleIdx context. The property will now be available in the People Result Source. Not the answer you're looking for? Browse other questions tagged search refiner result-source or ask your own question.